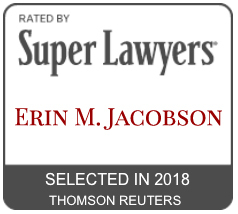 erin m. jacobson - Erin M. Jacobson, Esq. I’ve previously discussed what to consider when hiring an attorney and how to find the right attorney for you. Some questions have been asked about what the hiring process actually looks like once you have found the attorney with whom you want to work. Overall it’s fairly simple, however, the process can be filled with uncertainty if you’ve never hired an attorney before. Procedures vary slightly between attorneys, but here’s an idea based on the general landscape and my own personal experience. As I discussed in a prior article, attorney fees typically range from $250 to $1,000 per hour. When you pay an attorney hourly, you’re paying for that attorney’s time and skill provided during the time spent on your matter, which usually includes phone calls, correspondence, and advising you, in addition to drafting or reviewing an actual document. The attorney will usually use a timer or other program to keep track of the exact time spent on your matter. Some attorneys will charge certain tasks on a flat fee or charge on an overall percentage basis. While hours are not tracked under these models, the principles of paying for the attorney’s skills are the same. Percentage clients are usually those making sizable incomes and receiving large advances, as otherwise the attorney would be putting in a lot of time in exchange for pennies. Hourly and flat-fee models will often require an upfront retainer, which is an advance payment of fees by the client. The attorney will then consider the funds “earned” after completing the work covered within that month’s billing cycle. If there are still funds left in the retainer, those can be carried over to future work or refunded to the client. Some attorneys do still allow for payment after the work has been done, but that has become rare. Attorneys working on a percentage are usually paid by the client’s business manager. When you’ve communicated to the attorney that you would like to hire him or her, the attorney will most likely require you to sign an engagement letter or fee agreement. This letter is an agreement between the client and the attorney and is there for the client’s protection. The letter usually explains what services the client is hiring the attorney to perform, the agreed-upon fee, an explanation of billing practices and other charges, as well as office policies. You have the right to have this letter reviewed by another attorney. Other attorneys require some other forms as well, such as information forms to keep a client’s contact and other relevant information on file for convenience. The attorney will let you know what forms are required and how you should submit them. Once you’ve officially hired the attorney, you can then send whatever contracts or other information you need the attorney to review. The attorney can also start making phone calls or otherwise acting on your behalf. The exact actions will vary based on your matter, but the gist is that the attorney cannot do any work for you or act as your representative until officially hired by you. If you have a manager, agent, or other team members you work with and they haven’t already been introduced to your attorney or know that you have hired a particular attorney, they should be notified and introduced to your attorney. Ideally, this would have already occurred so you could have made sure everyone on the team would work well together. Most attorneys keep fairly regular business hours, and in the music business that usually means about 10:00 a.m. to 5:00 or 6:00 p.m. Be respectful of your attorney’s time and don’t expect him or her to return your phone calls or emails outside of these hours unless you know that your attorney keeps a different schedule or is on-call 24/7. Also remember that you’re not the attorney’s only client, so allow a reasonable amount of time for the attorney to respond to you before following up. Also, don’t assume the attorney’s phone number is a cell phone, so don’t text your attorney unless you know it’s okay to do so. In addition to being respectful of the attorney’s time, be respectful of your attorney’s payment policies. For example, if the attorney requires a retainer, don’t fight to pay only after work has been completed. Also, be mindful of how you are being billed (hourly, percentage, flat fee) and what you are being billed for (phone calls, emails, drafting, hourly minimums) so there are no surprises later. Your relationship with your attorney is a professional one, so act accordingly. Attorneys are allowed to be friends and socialize with clients, but don’t make sexual advances towards your attorney, call your attorney names, telephone your attorney when intoxicated (unless you need to be bailed out), or exhibit other non-professional behavior. Be organized and make sure the attorney has the information needed to do the work for you. Not only does it make the work flow smoother, but it cuts your costs because the attorney doesn’t have to spend his or her time chasing you for information. Remember, information you give your attorney is confidential. It is important to be honest about all information with your attorney, as your attorney cannot adequately represent you or handle a situation for you if you withhold information. If you don’t know how your attorney wishes to handle something, what your attorney’s particular policies are, or if there’s something else you don’t understand – ask! As in all relationships in life, honesty and communication are the best policies. Your attorney has had years of rigorous scholastic training and experience in the real world. In the case of the music industry, attorneys needs to have a deep understanding of a very complex set of laws (intellectual property, contracts, etc.) in addition to the business and intricate payment practices of a very unique industry. When you hire an attorney, you’re getting the benefit of the attorney’s vast amount of knowledge and experience. You’re not just paying for a physical product like a contract, you’re paying for the attorney’s expertise and the ability to handle a complex issue effectively and efficiently. If there’s a legitimate problem with the work or a bill, then by all means address it, but don’t ask your attorney to handle a matter and then complain about what it cost, as it’s insulting to the attorney and the service he or she provides to you. Overall, just use common sense and be respectful. Your attorney is there to look out for your best interests and is one of the most important relationships of your career. Erin M. Jacobson is a practicing music attorney, experienced deal negotiator, and seasoned advisor of intellectual property rights. She protects clients ranging from Grammy and Emmy Award winners to independent artists, record labels, music publishers, and production companies. Ms. Jacobson also owns and oversees all operations for Indie Artist Resource, the independent musician’s resource for legal and business protection offering template contracts, consultations, and other services designed to meet the unique needs of independent musicians. Erin will speak at the TAXI Road Rally on November 4-5, 2016.
with Erin M. Jacobson, Esq. Both sessions with have ample opportunity for Q&A. The TAXI Road Rally is for TAXI Members and will be held at the Westin LAX. For more information on the Road Rally, including schedule and entrance information, visit TAXI.com. Performance rights organizations (“PRO’s”) are organizations that track and collect performance royalties on behalf of songwriters and music publishers. In the United States, there are four PRO’s: ASCAP, BMI, SESAC, and Global Music Rights (“GMR”). ASCAP and BMI are the two largest U.S. PRO’s and are also non-profit organizations. Since 1941, ASCAP and BMI have been subject to consent decrees issued by the Department of Justice (“DOJ”). These consent decrees are agreements that allow the government to regulate ASCAP and BMI’s license fees and how they operate in order to prevent monopolization and encourage competition. SESAC and GMR are both independent, privately owned companies that operate on a for-profit basis and are not subject to consent decrees. In 2014, the music community asked for a review of these decrees and requested the removal of digital licensing from the blanket licenses offered by the PRO’s, allowing publishers to negotiate directly with and be paid higher rates by companies licensing music for digital uses. This is referred to as “Digital Rights Withdrawal” or “DRW.” Digital giants like Google, Pandora, and Sirius/XM, joined by terrestrial radio, lobbied against DRW in order to pay smaller licensing fees to music owners. The DOJ denied the music community’s request for DRW and has now mandated that music publishers be either “all-in” or “all-out” with the PRO’s, meaning that publishers must allow the PRO’s to license all types of performances of their catalogues or none at all. In its recent ruling, the DOJ also chose to enforce “full-work licensing,” also known as “100% licensing.” Under the practice of 100% licensing, any person with a percentage of ownership of the work has the right to license 100% of the work, not just the percentage owned. That licensor is then liable to account to other co-owners of the work for those co-owners’ share of compensation. This principle is in line with the provisions of copyright law governing joint works, and the longstanding language of the consent decrees supports the practice of full-work licensing. Despite the language of the consent decrees, the music industry has never operated on a 100% licensing basis. The principle of allowing one co-owner to license an entire work can be overridden by a contract between the parties, and the music industry has always operated on a “fractional licensing” basis where most owners agree in writing that each owner will administer its own share. Music users obtaining licenses have also historically accepted the practice of fractional licensing, and those users experienced with PRO licenses know that one must get a license from each PRO so that all shares of co-written compositions are covered. PRO’s also collect license fees from music users and pay its members/affiliates on a fractional basis, i.e. the amount collected or paid is proportional to the share of the composition controlled by that PRO. While the language of the consent decrees and the practice of the industry have long been out-of-sync, the DOJ’s sudden decision to enforce 100% licensing may force an entire industry to change its longstanding way of doing business. The DOJ’s ruling stipulated that if a PRO cannot license 100% of a composition, then that PRO cannot license that composition at all. This means that any compositions written by co-writers belonging to different societies would potentially become unlicensable by the PRO’s. Those that lobbied against reforming the consent decrees failed to realize that their efforts to pay less may also prevent them from using or playing a large percentage of music, or may require them to remove music from rebroadcasts of older programming, because much of the music they wish to use may become unlicensable by the PRO’s. If compositions are unlicensable by the PRO’s, then music users will have to go directly to music owners for performance licenses. While obtaining direct licenses may be feasible for more experienced users, many music users will not know where to find composition owners or how to go about obtaining licenses from them. If compositions become unlicenseable by the PROs and licenses are not obtained directly from the music owners, it is possible that many compositions may not be used, or many compositions may be used without permission resulting in copyright infringement. All of these scenarios may hinder music owners from receiving payments for performance royalties, and without the PRO’s, music owners will be responsible for tracking and policing all uses of their music, which is normally too labor intensive and financially burdensome for most music owners. Foreign performance societies, writers, and publishers are also affected by the DOJ’s ruling. Via reciprocal agreements, U.S. and foreign PRO’s work together to track and collect royalties for performances in a work’s home country and foreign countries. If certain works become unlicensable by U.S. PRO’s, then foreign societies and owners may have to track U.S. performances of their works in the U.S. Anyone in the U.S. wishing to use a foreign work not licensable by a U.S. PRO will have to get a direct license from the foreign licensor. In addition, U.S. owners issuing direct licenses may have to track and collect on foreign performances outside of the societies. Again, this creates burdens on all societies and owners, as well as opening the door for mass amounts of infringement and owners not receiving payments. The DOJ proposed a solution of modifying all past agreements between co-writers of different societies to allow administration by one owner or PRO. This would apply to both U.S. and foreign writers and publishers. However, this is an impractical solution because many writers will not want another PRO that is not their chosen PRO collecting on their behalf; many writers do not speak to past co-writers or know where to find them; many writers are deceased, leaving one or more co-writers to deal with heirs that may not understand the principles involved or cannot be found; and many writers will not have the financial resources to have their agreements amended. From a creative standpoint, many writers feel the DOJ’s decision will restrict them to only writing with co-writers from their chosen PRO. Restricting the freedom of writers to collaborate would be a fatal blow to creativity itself and cause many musicians to relegate music to a hobby rather than a career. The DOJ has allowed ASCAP and BMI a period of one year to comply with the new mandated changes, and if they are still non-compliant after one year, the DOJ can sue ASCAP and BMI for non-compliance with its decision. However, the one-year compliance period has not started yet, and will be delayed by the current efforts of BMI and ASCAP to get this decision reversed. As of this writing, BMI has sued the DOJ and is appealing the ruling through legal proceedings. ASCAP is developing a lobbying strategy to seek much needed Congressional support and achieve changes from the legislative side. Those of us on the forefront of this issue feel it is best to wait until we have a definite outcome before spending time and resources on modifying agreements or making other changes to longstanding industry practices. However, consult with me on this issue if you are concerned. Some resources to take action and stay up to date include www.standwithsongwriters.org and www.artistrightswatch.com. The Department of Justice has recently come to a decision regarding the review of the 1941 consent decrees that regulate the license fees and operations of ASCAP and BMI. Because ASCAP and BMI are non-profit organizations, they are subject to government-regulated consent decrees, meaning the government regulates ASCAP and BMI’s license fees and regulates how they operate in order to prevent monopolization and encourage competition. When ASCAP and BMI cannot settle on a equivalent fees, the dispute is taken to a rate court where the fee is settled. There have been massive lobbying efforts on the part of the music industry to reform these consent decrees and update them to the needs of writers and publishers in the Internet age. A review of these decrees opened in 2014 in order to modernize the decrees so that they were more applicable to the ever-changing and evolving music industry – an industry where music is vastly consumed through Internet and streaming services. The goal of the modernization was to bring royalty rates up to fair market value and for the ability of music publishers to remove digital licensing from blanket licensing in order to earn more money from online music and digital streams. Much to the music community’s dismay, no changes were made to the consent decrees and the DOJ has also declared the implementation of full work licensing, also known as 100% licensing, which will end the current practice of fractional licensing that has occurred in the industry for decades. Under the practice of 100% licensing, any person with a percentage of ownership of the work has the right to license 100% of the work, not just the percent owned. Even a 1% owner of a composition can now license 100% of the work without consent from the other co-owners, and is responsible to account to the other co-owners for their share of the payment. This creates problems because it enables music users to shop for the lowest price between owners and will make it harder for music owners to get paid due to frequent lack of communication between co-owners. It also disrupts the effective system of fractional licensing, a system that has helped insure that owners receive equal income shares and rights. The other aspect of the DOJ’s decision removes the option for music publishers and composition owners to do direct deals with digital and other service providers, while still allowing PROs to collect other aspects of performance income. Now, music publishers have to choose to be “all-in” or “all-out” with the PROs, allowing PROs to collect all performance royalties on their behalf or none. This will wreak havoc by further complicating the licenses needed by music users, complicated the tracking of performances from these users, and disrupting the income flow that would otherwise be collected by the PRO’s. The DOJ’s decision will cause drastic decreases in the income streams for music creators. It not only affects the PRO’s themselves but also the thousands of music publishers, writers, companies, and foreign performance societies that hold business with these societies and rely on these rates. Not only does the ruling further cripple the already narrowing income streams for music creators, but it also inhibits the industry from growing and progressing within the digital age, and prevents streaming from becoming a financially viable method of music consumption. So what can you do? As a music consumer, you can #valuemusic and pay for any music you listen to. If you own an establishment that uses music, make sure you are paying what licenses you can so the music owners and creators are fairly compensated. Everyone can go to standwithsongwriters.org and write to your congressional representative as well as sign up to get updates on this issue and how to stay involved in supporting this much needed reform in valuing music. I became a music attorney because I am passionate about protecting and advocating for the rights of my clients — the creators and owners of musical works. Contact me to protect your rights. In case you didn’t read the whole article I just posted and you’d rather watch me explain it to you – here are the videos! Musicians often ask me when they need to “get it in writing” as opposed to just having a verbal agreement or handshake deal. The real answer to that question is that you should always get agreements in writing, but there are three frequently occurring scenarios where it’s essential. Doing so will provide you with much needed protection later on when money or fame create unanticipated problems. Here’s how to handle each situation. When co-writing songs with others, it’s imperative to have a songwriter split agreement. This is a short agreement listing the writers of the song and in what percentages they are sharing ownership and royalties. There are longer versions of this agreement that lay out more terms, but a songwriter split agreement is the minimum that you should have in place. This agreement is important because it offers some proof if someone who’s not a writer tries to claim he or she is owed a credit or portion of ownership or royalties on a song. Here’s a story of an actual situation that happened to a band several years ago. A new band wrote some songs for their first album while in the studio. As is fairly common, the band had some friends and band members’ girlfriends in the studio with them. One of the songs the band wrote that day in the studio ended up being a huge hit for them that produced a large amount of royalties. The band never completed a songwriter split agreement. A short time after the song became a hit and the money started rolling in, a girlfriend – now ex-girlfriend – of one of the band members contacted the band and said that the band had promised her 10 percent ownership of the song for contributing a certain line. The band said that they never promised her anything, but she threated to take them to court. The ex-girlfriend had no proof she actually contributed to the song, but the band had no proof that she was lying. In order to avoid an expensive lawsuit, the band had to give her the 10 percent she wanted. While a written agreement doesn’t prevent someone from making a claim, if the band had completed a songwriter split agreement at the time the song was written, they would have had some sort of proof that the ex-girlfriend was not one of the writers of the song or owed any ownership interest in it. They could have potentially avoided giving up 10 percent ownership and income to someone who didn’t earn it. Musicians often come to me with problems they’re having with a producer. Often, the producer isn’t turning over the masters because there was a misunderstanding between the parties, or sometimes a producer’s claiming more ownership or income share than he or she should. The source of these problems is usually that the band didn’t get the terms of the agreement with the producer in writing. As a result, the parties had different understandings of what they each thought the agreement entailed, important terms hadn’t been discussed and left to work out at some later date, or someone changed his or her mind because he or she didn’t have anything in writing to dispute the new terms. Producer agreements are really important because the creator of the music is bringing in a third party who contributes (some more significantly than others) to the masters and sometimes to the compositions. Producers sometimes have claims to master ownership or require a songwriting credit when they haven’t written part of the song. Producer fees and royalty structures can vary based on genre, stature of the producer, and whether there’s a record deal involved. So, again, having the payment clearly defined is essential. A band came to me recently after working with several producers on their album, with no written contracts. After spending a lot of money on recording, the band had allowed the main producer on the album to dictate terms of compensation with all the other producers. When the album was finished, the band was left with only 10 percent ownership of all compositions and masters on the album when they were the main songwriters and only performers. I asked the band why they didn’t seek my counsel or other assistance earlier instead of waiting until this point, and their answer was that they had hoped things would improve on their own. Had the band sought advice on this situation earlier and gotten producer agreements in place with fair terms, this situation could have been avoided. Band agreements are also really important because every band is different. In some bands, everyone writes and all members share equally in royalties, and in other bands, only the main members share credit and royalties while other members are treated more like employees. Bands also have unique issues regarding the band name and who can use or perform under that name if the band breaks up or a member leaves. The time to create a band agreement is right in the beginning stages of the band when all members are still on good terms with each other. The conversation about the issues covered in a band agreement may seem uncomfortable at first, but ultimately clarifies expectations and protects everyone in the band. If certain band members are unreasonable or cannot agree during this initial conversation, that’s a red flag you’ll be glad you discovered sooner rather than later. Although being in a band is a creative and fun experience, what many musicians forget is that it is also a business, and needs to be run as such in order to stay organized and find success. Here’s a story about why having a band agreement is important: I received a call from a musician whose band was in the process of breaking up. The band had been together for several years, and this musician wanted to know if he could continue earning income from the band’s songs and whether he could use the band name in the future. I learned the band didn’t have an agreement and hadn’t discussed ownership of compositions, masters, artwork, the band name, or how any of these things would be treated if the band broke up. The relationships between the members had turned contentious, and there was no way any of them were in an emotional state to agree on anything. Because the members weren’t talking, it would have taken a lot of investigation or possibly litigation to figure out how the material should be split and who could use the name going forward. It was very probable this musician would no longer be able to profit from the hard work he had contributed to this band over the last several years. Had the band created a band agreement in the beginning, they could have discussed these issues and decided how all of their material would be treated in the event of a breakup. While the agreement wouldn’t have prevented a breakup, it would have clearly explained how the material was to be treated and how the members could proceed when the event occurred instead of potentially stripping the members of the proceeds of their contributions. How and where do you get it in writing? The best option is to hire an experienced music attorney to draft these agreements with language and terms specific to the situation at hand. If you cannot hire an attorney due to the cost or other reasons, you can download high-quality contract templates drafted by a music attorney at Indie Artist Resource. Each template covers the most common issues faced in those situations by musicians and comes with instructions to facilitate easy completion of the agreement. If a formal contract is still not possible, having some evidence in writing is beneficial. You can follow a verbal conversation with an email saying, “To recap the terms of what we discussed…” and then briefly summarize the terms so there is a written record of it. While it is not the same as or as strong as having an actual signed contract, it does help to leave some trail of proof if things go wrong down the line. This is a good idea especially for situations where contracts aren’t always used, like casual agreements with venue talent buyers or promoters. The most talked-about topic in the music legal world this month was certainly the copyright infringement case where band Spirit is sued Led Zeppelin over allegations that “Stairway to Heaven” infringed on Spirit’s song “Taurus.” The good news is that Led Zeppelin Wins ‘Stairway to Heaven’ Jury Trial! What was also exciting is the recent push by artists to urge online content providers like YouTube to #valuemusic. This call to action also involves the request to reform the Digital Millennium Copyright Act (DMCA) which allows safe harbor provisions for YouTube and other online content providers. In other news, those on the other side of the spectrum are filing lawsuits to force certain musical compositions into the public domain so that they don’t have to pay the license fees for them. This is one of a few lawsuits to follow the “Happy Birthday” case. This is certainly not a way to #valuemusic. A good music attorney representing the artist will make sure there is a “key man clause” in the artist’s management agreement. What happens if you sign with a management company and then your manager leaves the company? What if the other people at the company don’t understand your artistic vision or image, don’t jive with your personality, and/or don’t advocate for your career? I bet you’d wish you could continue working with the particular manager that has left the company, right? Right. The scenario described in the paragraph above is exactly what the key man clause protects against. While it won’t be labeled as a “key man clause,” a good music attorney representing the artist will make sure that there is language in the agreement ensuring that if the artist’s specific manager leaves the company, the artist has the right to also leave the company and follow the manager wherever (s)he goes. This language does not obligate the artist to leave the management company. If the artist feels there are others at the company who can manage the artist’s career just as well (or maybe better) than the leaving manager, then the artist is free to stay with the company. However, the artist does have the option to leave and follow the leaving manager at that point to protect the artist against being stuck in a management arrangement without someone that advocates for the artist. Many management agreements don’t include this language and many artists (and some attorneys!) don’t know to ask for it. If you need a management agreement drafted or reviewed click here to contact me now. If you need a DIY solution in the form of a template agreement, get one from Indie Artist Resource ( CA residents click here and non-CA residents click here).